Nacaphite: Mineral information, data and localities. Named for its composition, including sodium (NAtrium), CAlcium, and PHosphorus. It may be in a homologous series with seidozerite, as suggested by some authors. Fersman Mineralogical Museum, Academy of Sciences, USSR, Moscow. 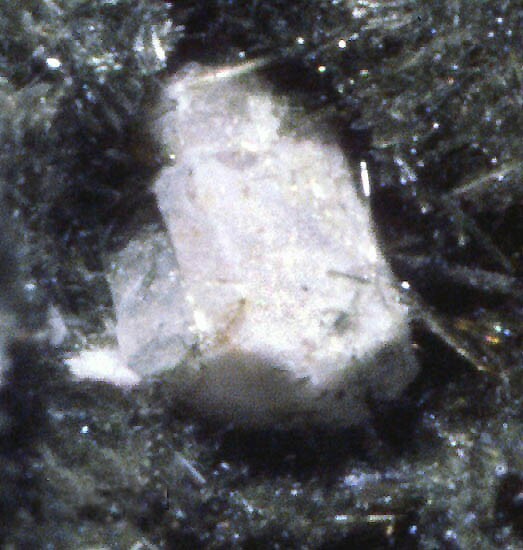 Ijolite-urtite pegmatite in an apatite deposit. Khomyakov, A.P., Kazakova, M.E., Pushcharovskii, D.Y. (1980) Nacaphite, Na2CaPO4F, a new mineral. Zapiski Vsesoyuznogo Mineralogicheskogo Obshchestva: 109(1): 50-52. Thermonatrite 1 photo of Nacaphite associated with Thermonatrite on mindat.org. Fleischer, M., Chao, G.Y., Francis, C.A., Pabst, A. (1981) New mineral names. American Mineralogist: 66: 217-220. Doklady Rossiiskoi Akademii Nauk 304: 610-615. Sokolova, E., Egorov-Tismenko, Yu.K., and Khomyakov, A.P. (1989) Crystal structure of nacaphite. Soviet Physics – Doklady: 34: 9-11. Egorov-Tismenko, Yu.K. and Sokolova, E.V. 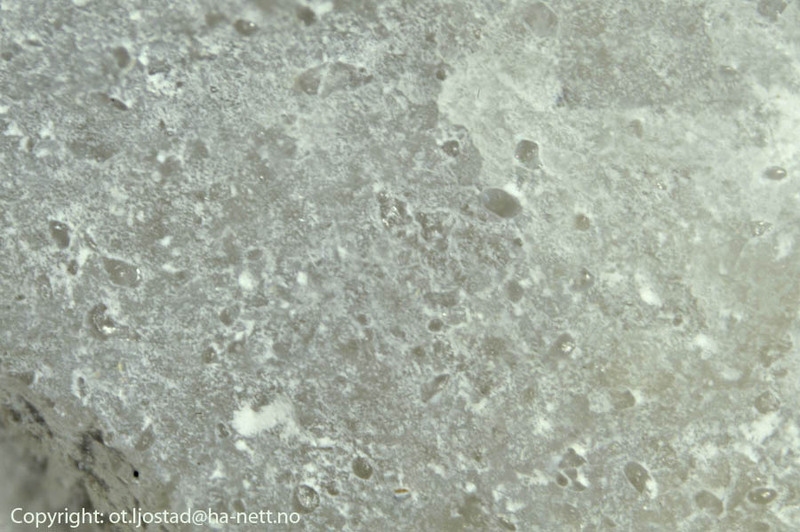 (1990) Homologous series seidozerite-nacaphite. Mineralogicheskii Zhurnal, Kiev: 12(1): 40-49 (in Russian). Jambor, J.L., Grew, E.S. (1991) New mineral names. American Mineralogist: 76: 299-305. Sokolova, E.V. (1998) Polysomatic series seidozerite-nacaphite. Zapiski Vserossiyskogo Mineralogicheskogo Obshchestva: 127(2): 111-114 (in Russian). Sokolova, E.V., Kabalov, Y.K., Ferraris, G., Schneider, J., Khomyakov, A.P. (1999) Modular approach in solving the crystal structure of a synthetic dimorph of nacaphite, Na2Ca[PO4]F, from powder-differaction data. The Canadian Mineralogist: 37: 83-90. Sokolova, E. and Hawthorne, F.C. (2001) The crystal chemistry of the [M3φ11–14] trimeric structures: from hyperagpaitic complexes to saline lakes. 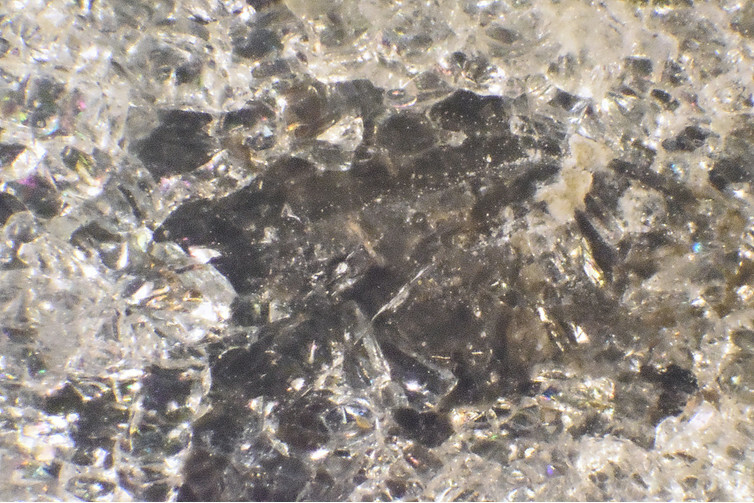 Canadian Mineralogist: 39: 1275–1294. Krivovichev, S.V., Yakovenchuk, V.N., Ivanyuk, G.Yu., Pakhomovsky, Ya.A., Armbruster, T., and Selivanova, E.A. (2007) The crystal structure of nacaphite, Na2Ca(PO4)F: a re-investigation. Canadian Mineralogist: 45: 915-920. 33 IGC excursion No 47, July 22 – August 2, 2008 Stop 2-2; Khomyakov, A. P., Nechelyustov, G. N., Sokolova, E., Bonaccorsi, E., Merlino, S., & Pasero, M. (2002). Megakalsilite, a new polymorph of KAlSiO4 from the Khibina alkaline massif, Kola peninsula, Russia: Mineral description and crystal structure. The Canadian Mineralogist, 40(3), 961-970. Pekov I.V., Zubkova N.V., Filinchuk Ya.E., Chukanov N.V., Zadov A.E., Pushcharovsky D.Yu., Gobechiya E.R. (2010): Shlykovite, KCa[Si4O9(OH)]·3H2O, and cryptophyllite, K2Ca[Si4O10]·5H2O, two new mineral species from the Khibiny alkaline complex, Kola Peninsula, Russia. Zapiski RMO, 139(1), 37-50.